At a glance: GET. THAT. GAME. OUTTA. YOUR. 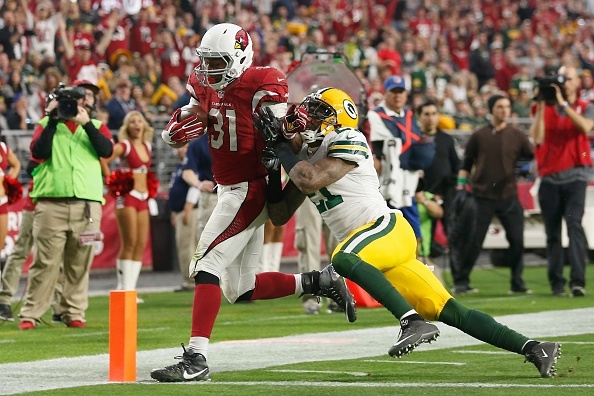 HEAD….you know which game I am referring to; it’s the Cardinals’ 38-8 drubbing of the Packers in Phoenix 3 weeks ago. As is normally the case when two good teams play each other twice in the span of 30 days, the second game normally looks nothing like the first. I am not predicting a Packer victory here, but expect McCarthy to have a nice counter-punch. When I think about this game, and the way most casual fans and national media are portraying it, I think back to the Jets @ Patriots divisional upset from 5 years ago. The Jets, similar to the Packers, were coming off a recent blowout loss to their current opponent, and nobody was giving them a chance on the road. Then, 60 minutes, 8 Brady sacks, and one Patrick Chung ill-advised fake punt later, lo and behold they won. I am not promising a Green Bay victory here, but the game will be much closer in the 4th quarter. 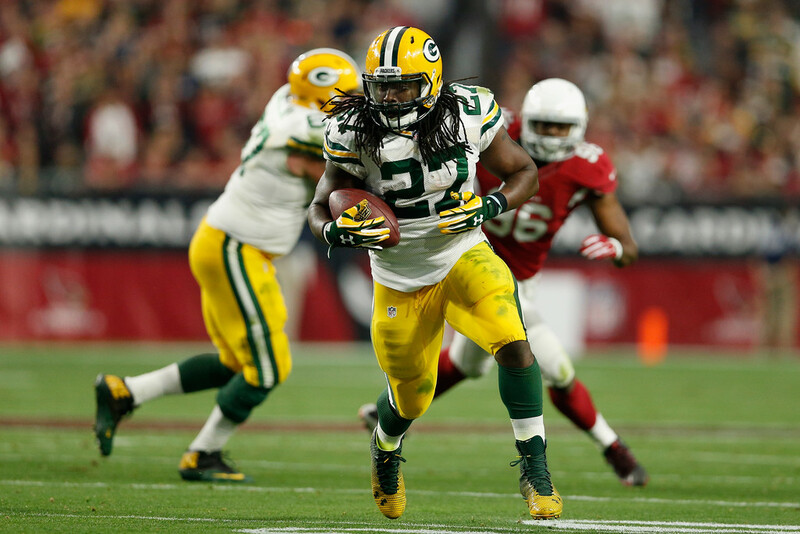 When Packers run the ball: Good lord where was THAT all year?—Last week Lacy and Starks woke up and churned out a combined 116 yards against the soft chewy Redskins interior, most of them with fan favorite and Wisconsin cult hero John Kuhn leading the way at fullback. 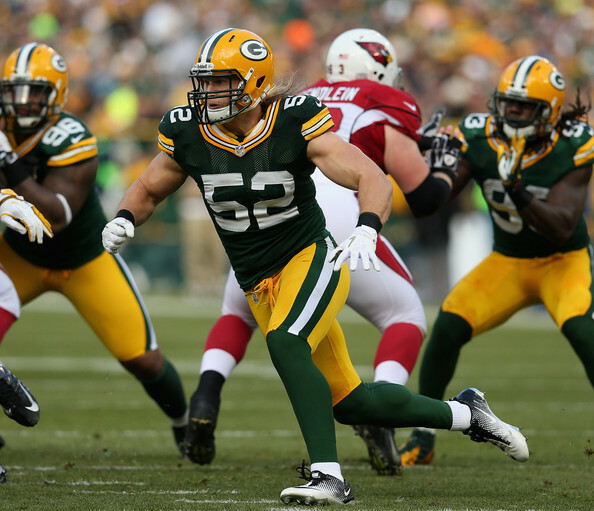 Speaking of Kuhn, the Packers employ him in a way that not many teams do in 2015; that is to say, they actually use a lead blocker out of the backfield. I think from a rushing game perspective, that is the Packers best foot forward: a 3×2 set, with Kuhn and Lacy in the backfield in the offset-I, surrounded by 3 WRs. This works because the 3 WRs make the defense send bodies out to the perimeter, which alleviates the box and gives Kuhn a 1 on 1 with a downhill linebacker. Due to the tenacious work of promising youngins’ Kevin Minter and Alex Okafor, Zona finished a very respectable 9th against the run this year, so nothing will be easy, and expect those young, aggressive LBs of the Cardinals to knife into the backfield a couple times to create 2nd and 12’s. The following sentence feels weird to type, but: the Packers best shot this game is NOT to torch the opposing secondary and march up and down the field, but rather to hold onto the ball, control the clock, and keep the other team’s quarterback on the sideline. For the first time in very long, the Packers will not have the better QB in this contest. Neither Lacy nor Starks has the breakaway speed that can produce a 75 yard run, so if the Packers get their 100-120 yards on Saturday, it will be due to consistent production between the tackles. Calais Campbell and company will not let that happen, and given the prolific nature of the RedBird’s offense, McCarthy may have to abandon the run in the second half. When the Packers throw the ball: Honey Badger being hurt for this game is a huge boon to every offense that will face the Cards going forward, and the defensive splits with or without him on the field are staggering. Having said that, these Packers WRs have shown an inability to create consistent separation all year, and the Trio of Peterson, Powers and Bethel should be able to pretty comfortably shadow Cobb, Jones and Abbredaris (I’m assuming that disappointing 2nd year man Devante Adams doesn’t suit up with his knee). 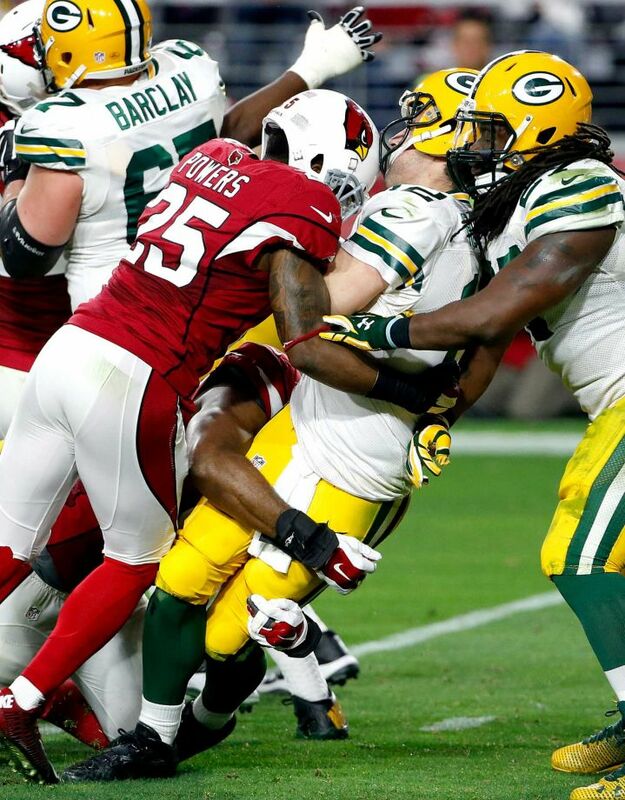 The Cardinals sacked Rodgers a staggering 9 times when they last played, and much of that was due to their leading the whole time and their ability to pin their ears back. Hopefully, the injured David Bakhtiari, whom I wrote about last week, returns to the field and can keep the “ageless-and-certainly-not-taking-HGH” Dwight Freeney off Rodgers blindside. Freeney had 3 of those sacks last game, and at age 35 you best believe that he fancies this as his last chance to get another ring. With 119 career takedowns and countless Pro Bowls, the HOF is so close he can taste it; best believe Freeney will BRING IT on Saturday. Overall, I think Rodgers will move the ball OK here (260-290 yards), but he will not look like himself yet again, and if the protection isn’t there (Bakhtiari) and the Cardinals take an early lead again, this could get ugly for A-Rod. When the Cardinals run the ball: Are they really going to bother? I do not think they need to run often, or even effectively to win this game. Anyone who plays fantasy football can tell you how much of a revelation rookie David Johnson has been, but that’s just not the Cardinal’s identity. If Ellington (QST) cant go, it should be the David Johnson show all day, which is bad news for the Pack. 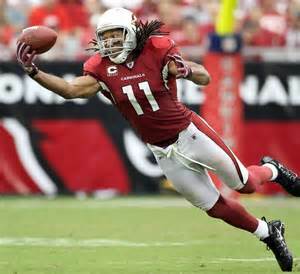 In 2014, Zona ran for fewer yards than every team not named the Raiders, and mind you, they were 11-5! The Raiders at least were a terrible team that was down so often they could never stick to the run, but it’s VERY rare to see an 11 win team rush for fewer than 1600 yards on a season due to the fact that they’re up in most games. This year has been a completely different story, as they have pounded their way to 1917 yards, good for 8th in the NFL. I think the Cards will rush for 80-90ish yards this game, not because they won’t be successful, but because the plays will be there in the passing game and Palmer will pull the trigger. When the Cardinals throw the ball: Correct me if I’m wrong, but it seems to me like the Arizona Cardinals are only relevant on a national stage when they get an old-allegedly “washed up” veteran gunslinger to come to the desert to resurrect his career. First Kurt Warner, and now the California Kid Carson Palmer (personally, I can’t WAIT for the Cutler reclamation project in 2019, you know it’s coming). What we saw in 2015 in Arizona was the result of perfect marriages between schemes, skillsets, and cohesion. Bruce Arians is a deep-shot downfield offensive mind, Palmer is a deep-shot downfield passer, and the combination of Michael Floyd and Smoke Brown stretch the defense so thin that it allows Larry Fitz to do whatever he wants underneath in the slot, largely against inferior corners. The Packers are young and talented in the secondary, so they match up OK here, but not great. Nobody does against the Cards this year. The biggest question I have is: between Brown, Fitz and Floyd, who are the Packers LEAST afraid of? This is big, because Green Bay essentially has only 2 playable corners on the roster right now (a couple of high draft picks in Heyward and Randall) and the Cardinals consider 3-wide as their base offensive set (78% of competitive snaps, per PFF). On most plays, the Pack will be crossing their fingers hoping that a combination of a gimpy and old Sam Shields (QST) and UFA Ladarius Gunter will be able to keep one of those 3 Cards WRs in check. Personally, I think Green Bay will roll the dice with the talented yet maddeningly inconsistent Michael Floyd, as they put Heyward on Fitzgerald and Randall (who ran in the 4.4s) on the speed demon Brown. At the end of the day though, I think this Cardinals passing attack has been way too hot for way too long to be stopped. .
Specials/Coaching/Intangibles: Both Kickers are good, both coaches are brilliant offensively. This game, as I said at the top, will be full of punches and counter punches in the passing games. I am looking for a shootout here, and I do not think the quarterbacks will disappoint. One thing I wonder about though, is Palmer: this is the FIRST big game he’s played since (literally) the Bush Administration, what will his blood pressure be like? 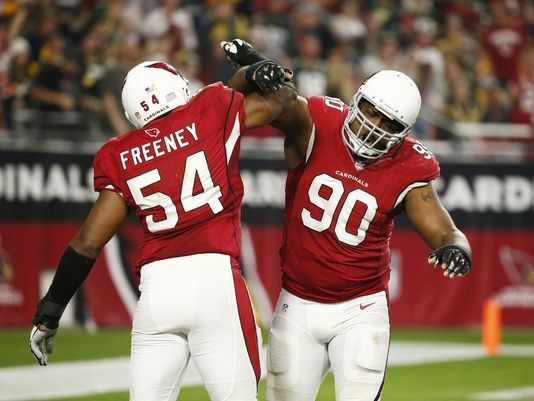 He, like Freeney, knows that this could very well be his last SHOT. We, perhaps incorrectly, measure quarterbacks in SUPERBOWL WINS, and Palmer knows what is at stake here. 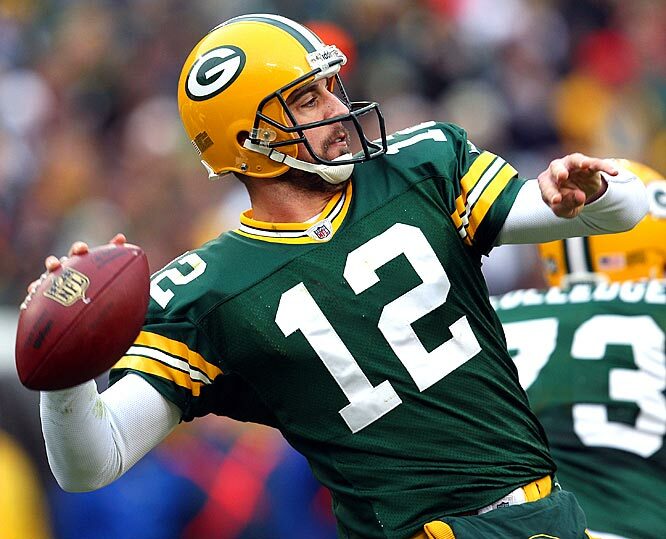 I think if he sails his first couple of throws (a telltale sign of QB nerves) then the Packers will drop back more and let him make a mistake. HBT’s prediction: I think this game will be close until the middle of the 4th quarter, when the Cards will inevitably pull away. Not only are they objectively and statistically the better team, but they are home, and I think they have the capability of turning this game into a 4×100 relay. The Packers secondary, while talented, does not have the capability of going 4 or 5 deep and keeping everyone from being gassed.